Dr Ahmad Nounu BDS, MGDRCS is the practice principal and clinical director of Black Swan Dental Spa. He graduated with a degree in dentistry from Bristol Dental Hospital in 2008 and has taken giant steps to enhance his skills and cement himself as one of the leading Cosmetic dentists in the Southwest. He is committed to providing the highest standard of care in the most gentle way possible. His particular interests in dentistry embrace Whitening, Implants, Orthodontics and Cosmetics. The winner of numerous awards including the Dentistry Awards Best Young Dentist 2015 he has also featured amongst Private Dentistry Magazine’s Elite top 20 dentists nationally. Recently he has featured as one of the cosmetic dental experts on Sky TV’s MyFaceMyBody. His dedication to the constant improvement of his skills have seen him complete the prestigious Advanced Dental Seminars one-year course with Dr Chris Orr in London in addition to learning more advanced treatment for modern conservative techniques through numerous other courses throughout the UK and abroad in Lisbon and the USA. A sought after lecturer on the topics of Whitening, Minimally invasive cosmetic dentistry and Soft tissue laser dentistry has seen him presenting in the UK, Europe and the Middle East. As an in demand and respected writer, he has contributed many articles to both dental publications and the national press, where he has featured in both the Times and the Sunday Mirror. He has served on the committee for the exclusive British Academy of Cosmetic Dentistry and is founding chairman and driving force behind the Young Dentist Group of the South Western Branch of the British Dental association. Since graduating from the University of Bristol Menna has been committed to providing the highest level of care to her patients. She has a natural passion for dentistry and strives to put each and every one of her patients at ease. Mennas passion for her career has seen her follow in the footsteps of some of the countries most respected dentists by undertaking a number of postgraduate courses including the prestigious Aesthetic and Cosmetic Restorative course with Dr Christopher Orr as well as taken her to Arizona, USA to embark on the world-renowned Spear Pathway. Mennas absolute priority for your oral health, her clinical skill and flair for design means you will be in the very best of hands to receive a smile you have always wished for. Menna is keen for your visit to be as relaxed and enjoyable as possible with the care you receive being of the very best standard. She believes Black Swan enables her to provide the highest level of care she feels every patient deserves. Menna has undertaken training in minimally invasive dentistry, whitening, cosmetic bonding, crowns, veneers, dentures, orthodontic treatment and is also an active member of the British Academy of Cosmetic Dentistry allowing her to ensure her patients have healthy and beautifully natural smiles. 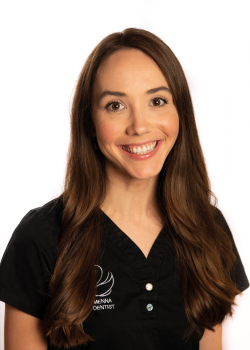 Menna is always keen to invest time into nervous patients here at Black Swan and sees a loyal following of those patients who have had their perceptions of dentistry changed under her care. When not in the surgery Menna enjoys all things interior design, travelling, keeping fit and eating. Menna is a self confessed foodie and loves sharing destination/recipe tips with her patients. 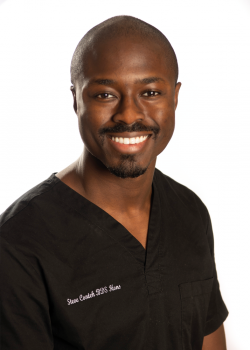 Dr Steve Conteh BDS graduated with honours from King’s College London where, during his undergraduate years, he won multiple awards for both the clinical and research aspects of dentistry. He has presented his work at European Dental Conferences and had articles published in dental magazines. Inspired by the teachings of many internationally renowned dental experts, Steve has dedicated himself to provide the highest possible standard of care for his patients. Internships in the UK and USA have led to further significant improvements in the care he provides. 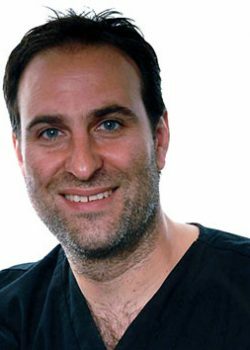 With a passion for aesthetic restorative dentistry he is continually advancing his knowledge and skill, most recently graduating from Dr Christopher Orr’s Advanced Restorative and Cosmetic Dentistry programme. To further enhance the quality of his expertise in providing consistently high quality care Steve has also completed training focused on the safe straightening of front teeth. He has become a Certified Invisalign and ClearSmile provider and is able to use these barely visible aligners to straighten your teeth. With a calm and friendly manner Steve is dedicated to getting to know and understand his patients. This relationship helps to reach shared decisions on how his patients will benefit from healthy and beautifully natural smiles. He is a skilled exponent of high quality digital photography, which is used to help plan and communicate the most appropriate care for his patients. Steve is also involved in the British Dental Association’s Young Dentist Group helping to organise meetings and conferences to educate and inspire dentists in the South West. 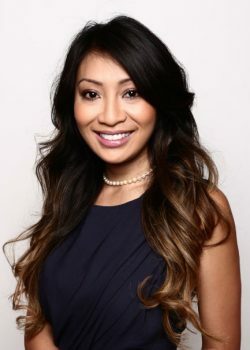 Sheila Nguyen is an award-nominated dentist who works in London & Essex alongside the much-respected Dr. Leah Totten as well as some of the most respected dermatologists, surgeons and cosmetic dentists in the UK. She also performs advanced facial rejuvenation treatments for high profile clients in Harvey Nichols, Knightsbridge. Sheila qualified as a dentist from King’s College London and also holds a first-class honours degree in Biomedical Sciences, in addition to these; Shehan advanced qualifications in botulinum toxin and dermal fillers, chemical peels and skin boosters. Sheila is an advanced aesthetics practitioner and the director and owner of Renuyu Clinics, a well-established aesthetics clinic based in Essex and surrounding areas, where she offers Botulinum Toxin, Dermal Fillers, Chemical Peels and threads.She currently practices dentistry in London and provides facial aesthetics procedures across clinics in London, Essex & Hertford. Sheila was the former director and course instructor at The London School of Facial aesthetic and is an exceptional teacher and mentor. She has been teaching courses in basic and advanced aesthetics for over3 years and has trained more than 400 dentists, doctors and surgeons in the field. She currently teaches and mentors other doctors and dentists in the field of facial aesthetics across various locations in the UK, and is passionate about raising the standards in the practice of safe and ethical facial aesthetics, and equipping trainees with the skills to confidently practise safely. Sheila is a passionate dentist and aesthetics practitioner. She sits on two committees within The British Academy of CosmeticDentistry, where she also holds full membership, actively promoting excellence, ethical practice and education in Cosmetic Dentistry. She takes great pride in delivering high-quality ethical treatment and training, dedicating a tremendous amount of her time to continued lifelong learning by attending masterclasses and conferences, renewing her expertise to deliver the safest, most up to date and evidence-based techniques to her patients. Sheila is expanding her knowledge in Aesthetic Medicine by doing a Masters at the prestigious London Queen Mary University. She brings her expertise and natural approach to facial rejuvenation to patients at Black Swan offering the very best, safest and evidence-based treatments in anti-aging and rejuvenating treatments, alongside cosmetic dental procedures, to naturally balance and enhance the full face. She can therefore provide a comprehensive and predictable approach to full face treatments, and her gentle approach, caring and kind nature, alongside her desire to truly understand her patient’s goals, mean that every aspect of her patient’s treatment journey is diligently planned and their results, truly unique to them. Sheila believes in natural looking results that are undetectable and will help you to choose treatments that will balance and harmonise the face rather than give that “stiff” or “done” look. Mital is now in the final year of an intensive four-year specialist programme in periodontology at Guy’s Hospital (Kings College, London). He is an active member of the British Society of Periodontology and The European Federation of Periodontology. He has a particular interest in treating nervous patients with sedation and is a member of SAAD (Society for the Advancement of Anaesthesia in Dentistry). Mital is enthusiastic about treating patients with a wide variety of complex gum problems and is experienced in all aspects of non-surgical and surgical periodontal therapies. Dr Noushad Rahim qualified with a Masters degree in Endodontics (root canal therapy) and Conservative Dentistry from Manipal University (India) in 1998. Before moving to the UK he worked for more than 7 years as an endodontist in the United Arab Emirates where he was also the academic course coordinator and internal examiner for clinical endodontics at Ajman University. 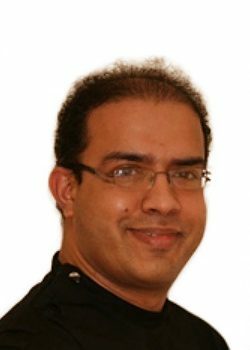 An experienced lecturer, he has also conducted many practical courses in endodontics through the UK and internationally to share his knowledge and skills with other dentists. Noushad enjoys treating patients in his kind, gentle and reassuring manner. 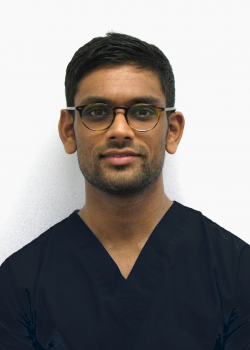 Since starting to care for his patients here at Black Swan he has developed a growing referral base, looking after the patients sent to him by other dentists. Outside Dentistry, Noushad is a life long supporter of Liverpool FC and has a keen interest in photography. His practice is limited to Endodontics. Dr Richard Brookshaw BDS, MSc, DipImplant is a highly skilled dental implant surgeon with a distinguished academic background. He qualified with a BDS from the University of Dundee in 1996. In 1999 he gained his Masters degree in Oral Surgery from the University of Sheffield and further extended his clinical qualification in 2001 by completing an 18 month Implant Training Programme. In 2009, he attained the highest honours award in the one-year implant master program from University of California Los Angeles/Gide program. Richard was one of the first six in the UK to gain The Diploma in Implant Dentistry from the Royal College of Surgeons, Edinburgh at its first sitting. He has placed more than 5000 implants and is one of only a handful of implant surgeons nationwide who can carry out implant surgery in patients with extreme bone loss, using specialised zygomatic implants. Richard is respected nationally and internationally as a lecturer and mentor in Implant Dentistry, immediate same day implants and CT scanning and planning for implant surgery. He also lectures for Nobel Biocare nationally and internationally on a range of advanced implant techniques and is a regular lecturer and contributor to their World Tour. Richard practices all aspects of implant dentistry, including hard and soft tissue augmentation, sinus grafting and same day implants. 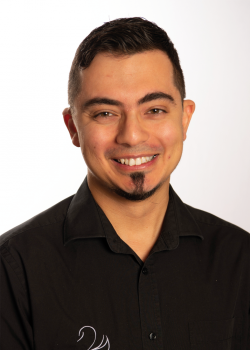 He is proving to be a huge asset to Black Swan, where he treats existing patients of the practice and also accepts referrals from other dentists who value the skills he can provide for their patients. In addition Zoe has been the Practice Manager at Black Swan since its foundation in 2009. 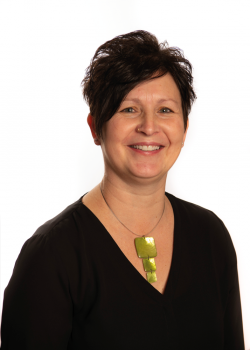 As an active member of the association of Dental Administrators and Managers she continues to attend management and development courses in order to ensure that Black Swan remains at the cutting edge of developments in legislation, compliance and processes. Leading a team with more than 20 dedicated members is a challenge she has embraced wholeheartedly and she continues to inspire the commitment and dedication of each and every one of them. Being involved from the outset in the development of your Spa has been a great journey that she has enjoyed immensely and she looks forward to future challenges in bringing excellent care and service to our patients.